When Napoleon courted Désirée Clary (born Eugénie Bernardine Désirée Clary), he was about twenty-five. He met her while stationed in Marseille after his strategy proved successful at the Siege of Toulon in 1793. Désirée was the daughter a wealthy Marseille silk manufacturer and merchant named François Clary, who had four children by his first wife, and Désirée and eight other children by his second wife, Françoise Rose Somis (addressed as Eugénie). Désirée Clary in 1807. Courtesy of Wikipedia. Désirée’s childhood education was the typical type given to daughters of the upper classes in pre-revolutionary France as she was sent to a convent. However, her education at the convent did not last long because once the French Revolution began, all convents were closed. She returned home at age eleven and was thereafter home-schooled in a manner described as shallow. Julie and Désirée in 1810 by Robert Lefèvre. Courtesy of Wikipedia. Before the French Revolution began, François made an appeal to be ennobled, but his request was denied. He died in January 1794, and, in the meantime, French nobility and hereditary titles were abolished in 1789 and such title holders questioned as to their loyalty to the Revolution. When François’ request was discovered, his son Etienne, who was now serving as head of the household, was arrested as suspect. Joseph called the next evening and soon became friends with the Clary family. He also intervened in Etienne’s case and got him released from prison. In addition, because Désirée was so appealing, Joseph developed a great liking for her, but when he introduced her to Napoleon, his brother liked her too and Napoleon encouraged him to switch his affections. Joseph then began courting Julie, proposed to her, and married her on 1 August 1794 in Cuges-les-Pins, France. Désirée was smitten by the young dashing Napoleon as he was with her. Besides her beauty, her dowry would have certainly appealed to him too and that was probably one reason he soon began talking about them marrying. Her mother was less than enthusiastic about her daughter marrying Napoleon, and once commented, “One Bonaparte in my family is quite enough.”* Despite her young age, Désirée seemed to know what she wanted. 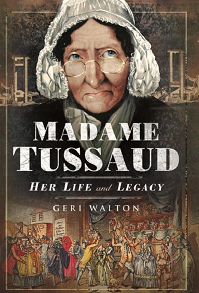 She became determined to marry Napoleon, and they were engaged on 21 April 1795. Désirée Clary by François Gérard in 1810. Courtesy of Wikipedia. In the meantime, Paris was exciting, a cosmopolitan of swirling activity where Napoleon found plenty of things, and women, to occupy his time. The Reign of Terror had ended a year earlier with Maximilien Robespierre’s death on 28 July 1794, and Napoleon gave a brief description of what it was like to be in Paris in another note he wrote to his brother dated 12 July 1795. “Here in Paris, luxury, enjoyment, and the arts are resuming their sway in surprising fashion. … Smart carriages and fashionably dressed people are seen about again: they have the air of waking up after a long dream, and forgetting that they ever ceased to display themselves. The books-shops are open again. There is a succession of lectures on history, chemistry, botany, astronomy, and so forth. The place is crammed with everything that can distract, and make life agreeable. No one is given time to think. … Women are everywhere – applauding the plays, reading the bookshops, walking in the Park. The lovely creatures even penetrate to the professor’s study. Paris is the only place in the world where they deserve to steer the ship of state: the men are mad about them, think of nothing else, only live by them and for them. Give a woman six months in Paris, and she knows where her empire is, and what is her due. Desideria in 1830. Courtesy of Wikipedia. When Napoleon heard of her proposed marriage to Bernadotte, he wrote to Joseph on 26 July, “I wish Désirée all happiness if she marries Bernadotte. 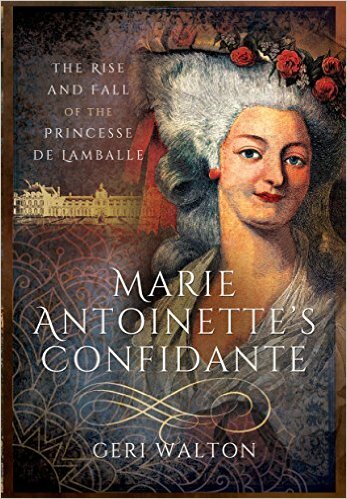 She deserves it.” She thought she deserved it too and married Bernadotte in August of 1798. The following year, she gave birth to a her only son, Oscar. Bernadotte later became King Carl XIV of Sweden and she officially became Desideria. In 1795, Napoleon put his memorable relationship with Désirée to paper when he wrote a romantic novella titled, Clisson et Eugénie. The novella is widely acknowledged as being a fictionalized version of his doomed romance with Désirée. However, it took years for the handwritten manuscript to be published, which happened in 2009 after the British publisher, Gallic Books, purchased the English rights. It was compiled by British Historian and editor, Peter Hicks, with the help of translator, Emilie Barthet, from multiple drafts and became the “definitive” edition. One fragment came from the home of Josephine and then passed through several hands before it ended up in the possession of an Italian autograph dealer in 2005. Another section of forty pages belonged to a Polish bibliophile and was published for the first time in 1920. A third section of four pages was purchased by a British property developer, and a fourth fragment was acquired from a relative of Catherine the Great, Count Grigoriy Vladimirovich Orlov, and was published in France in 2007. The fifth section belonged to a French financier. It was auctioned off to a private collector in 2007 and was identified by Hicks as the section possessing the first page of Clisson et Eugénie. The final section was another four pages and determined to have become detached from the Orlov fragment. Napoleon tells the story of a heroic French revolutionary soldier named Clisson who meets and falls in love with Eugénie. After retiring from the military, they marry and have several children. For a time, they live an idyllic life but unfortunately war erupts, he feels compelled to serve his country, and when doing so he is wounded. A soldier is sent to deliver the news of his injury and to reassure his wife, but he seduces her, and she stops writing to Clisson. A heartbroken Clisson then decides he cannot live without her, sends her one last letter, and makes a suicidal charge towards the enemy’s line. L.A.F. de Bourrienne and R. W. Phipps, Memoirs of Napoleon Bonaparte v. 3 (New York: C. Scribner’s Sons, 1891), p. 225. The American Magazine v. 40 (New York: Crowell-Collier Publishing Company, 1895), p. 194. The Nation v. 48 (New York: J.H. Richards, 1889), p. 364. J. Turquan, The love affairs of Napoleon (London: John Lane the Bodley Head, 1909), p. 31. J. M. Thompson, Letters of Napoleon (Read Books Limited, 2013), p. 49. Captain D.A. Bingham, A Selection From the Letters and Despatches of the First Napoleon (London: R. Clay, Sons, and Taylor, 1884), p. 47. J. M. Thompson, p. 51–52. Bucks Herald, “The First Love of the Great Napoleon,” May 10, 1856, p. 7.